The Britax B-Agile 3 has high ease of use scores and works with some infant car seats which helped it earn a Top Pick award for versatility. This product also has impressive scores for maneuverability and quality, with a lighter weight and small size that makes it a full-size choice that navigates small spaces with ease. The B-Agile stroller proves it is worth the modest price by outperforming the competition in most tests. If you're looking for a good main stroller that is easy to pick up and can work as a travel and primary stroller, then this is the stroller for you. If you need compact and easy to travel with, however, the B-Agile isn't the best choice and you might consider the Quinny Yezz instead. The Britax B-Agile stroller has been discontinued and replaced by the new Britax B-Lively. The B-Lively has many of the same features and functions of the B-Agile at a lower cost. Read more below to see the differences. The B-Agile and the B-Lively strollers are very similar, most of the changes are superficial and will not affect the performance of the stroller. The wheel hubs have a different design, the basket is slightly larger, and the overall weight of the B-Lively is 2 lbs heavier. The new stroller retails at $230, which is $40 less than the old B-Agile. Below you can see the two side by side with the B-Agile on the right and the B-Lively on the left. We are currently in the process of testing the new stroller and the links in this review will take you to the new B-Lively. Meanwhile, the two strollers are similar enough that we think our current review will still give you good insights about the stroller. There has been a recall issued by Britax for their Click & Go car seat attachment adapters for the B-Agile strollers. The stroller itself is safe to use, but the car seat attachment adapters that come with the stroller are not. The car seat adapters can/do disconnect from the stroller, which creates a potential fall hazard for baby. Consumers should immediately dispose of the adapters and request a remedy kit from Britax. For more information and to see which strollers are affected, please visit the Britax Safety Recall page. The Britax B-Agile 3 makes a good everyday option for regular and lightweight stroller use. The Britax B-Agile 3 also won an award in the Best Full-Size Stroller review. Britax is founded on the belief that parents and children should make the most of every moment and live life without limits. They strive to create products with smart designs with safety in mind and have been making children's products for over 70 years. Britax launched in America in 1996 after finding success in Europe as the best-selling car seat brand. Britax takes a special interest in side-impact protection, car seat installation, and strollers. 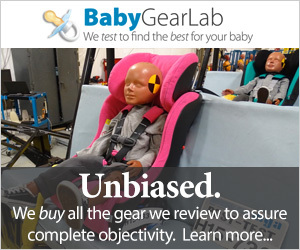 Britax works with car manufacturers, governments, and child passenger safety experts using their testing facilities to create new products for families. The Britax B-Agile 3 earned a Top Pick award for its overall high score and ample features that still manage to stay lightweight. The B-Agile 3's overall score relative to competing products can be seen in the chart above. In the following sections, we will describe its performance and standout features point by point for the metrics we tested. The B-Agile is one of the largest folded strollers in our lightweight stroller review, but it is one of the smallest in the full-size stroller review. The B-Agile earned an unimpressive score of 4 of 10 for weight and folded size. It comes in at 17.4 lbs and 6,658 cubic inches when folded up. It is almost as heavy as the Baby Jogger City Mini, but it is significantly smaller by over 1700 cubic inches. The B-Agile 3 has several features for convenience and comfort, which are easy to use and function as expected. The B-Agile earned an 8 of 10 for ease of use. This score ties with the similar Baby Jogger City Mini. The B-Agile has features that include large storage and canopy, as well as an easy fold. The B-Agile has a similar fold pull loop as the Baby Jogger City Mini and is very easy to use. The frame lock will prevent little ones from accidentally folding the stroller should they use the handle to help climb up into the seat. The B-Agile has an easy fold, that was designed well. Its convenience comes from being one-handed and one pull. It has an additional safety button to press first, and it doesn't self-stand, but it does have an automatic lock. The B-Agile has single action brakes which are simple to set and to release. The pedal is large and easy to step on and lift up, making it sandal foot friendly. The undercarriage bin on the B-Agile supports up to 10 lbs, and it held our Extra-large Diaper Bag inside (above left). It offers easy access from the back and sides, even with the seat back reclined. It also features two small pockets on the back of the canopy for quick access items like a mobile phone or keys. The previous version had one large zippered pocket, which we preferred (above right). The sunshade on the B-Agile is large, almost as large as the Baby Jogger City Mini. It has a nice mesh peek-a-boo window with hook and loop closure on the cover. The canopy works well, covers down past the knee, and looks sharp. While the shoulder padding on the B-Agile harness adds comfort to baby, it can get in the way when you try to adjust the straps. The B-Agile has a 5-point harness is average. It has a 2 piece buckle that is stiff to connect and straps that are average to adjust with a buckle that slides up and down, but the shoulder straps have padding that can get in the way of adjustment. Rethreading the harness will require you to push the plastic end piece through the slot and reinsert it into a new height. The B-Agile seat back reclines almost flat for napping comfort. The B-Agile has an almost flat recline that is easy to adjust. This seat has nice padding, including on the leg rest, but there is no footrest on this stroller and the leg rest is not adjustable. There is a seam behind the knee bend that could get annoying, but overall the seat is cozy and nice for napping. At this time the B-Agile is only compatible with Britax car seats and the Maxi Cosi, Cybex, and Nuna brands with the Britax Infant Car Seat Adapters for Cybex, Nuna, Maxi Cosi available for purchase. In the past, this stroller was also compatible with the award-winning Chicco Keyfit 30 and the Peg Perego Primo Viaggio 4-35 and some Graco models. However, at this time Britax is working on updating the adapters for these car seats so they are compatible with newer versions of the seats. They do not plan to relaunch the adapters until sometime in 2018. This means that you cannot use the B-Agile as a travel system with these brands until sometime in 2018. If you intend to use a lightweight/umbrella stroller for a baby under 6 months old, we recommend choosing a product that offers car seat carrier attachment. We do not believe that lightweight strollers, in general, are good choices for babies under 6 months. Younger infants lack the required head and neck control needed to avoid potential injury without assistance. Strollers need specifically designed seats and inserts for safely transporting baby over uneven surfaces, and the majority of the products in this category lack these features. The B-Agile took 5:42 minutes to set up from unpacking to ready to use. This stroller requires no tools and the manual is average. It is a little harder to set up than others. The B-Agile is easier to maneuver than it looks, thanks to a three leg design. The B-Agile earned a 7 of 10 for maneuverability. This stroller is easy to push and turns with plenty of room to makes tighter turns. Going off-road is only slightly worse, and while it rolls easily through grass, it can be tricky to turn and gravel caused more problems with the dual front wheels struggling to choose a direction to roll in. It comes with all-wheel suspension and a foam covered handlebar. The sling style seat is adequately padded and we think both passengers and pushers will be comfortable using the B-Agile. This stroller earned an 8 of 10 for quality. This stroller has a nicer shaped frame than the Baby Jogger City Mini and resulted in less kicking of the back axle. The fabric is nice ripstop material and the overall look is simple and functional. This stroller has little flex and the materials and components are nicely finished and firmly connected. The following is the manufacturer's video of the Britax B-Agile. he Britax stroller organizer is a parent console that has two cup holders and a covered storage compartment in the center. This organizer straps to the handlebar and helps keep frequently used items close at hand. We do think parents should use caution when using cup holders as items can fall out while strolling and often land right on baby. Never put hot liquid in a stroller. The B-Agile rain cover is see-through and hangs over the B-Agile to protect baby from wet weather. This cover can come in handy for parents that live in rainy or snowy weather, or for those times when you get caught off guard by a storm you didn't see coming. This cover helps keep baby dry and cozy, while still allowing them to see the adventure. epending on where you live or when you plan to stroll, a sun and bug cover can be a must. This covers wraps around the B-Agile with a tight elastic fit to help keeps bugs out and baby bite free. The additional 360 sun protection keeps baby burn free in the heat of the day and dims the seating area somewhat for better napping potential. This is a removable plastic tray with separate snack section and cup holder. The tray is easy to clean and helps independent babies keep hunger at bay and stay thirst free. While younger babies won't be able to reach the tray, toddlers will appreciate the tray for added treasure storage or activity tray as well. Britax Infant Car Seat Adapters for Cybex, Nuna, Maxi Cosi — Currently, as of August 2017, Britax does not have any car seat adapters available for the B-Agile except for the adapter that works with the Cybex, Nuna, and Maxi-Cosi brands. new adapters for other brands will be launched sometime in 2018. The majority of Britax car seat adapters are currently unavailable and new models will not be available until sometime in 2018. This means that until the new adapters are released, you can only use the B-Agile with car seats made by Maxi-Cosi, Nuna, and Cybex. Britax does not make a true umbrella stroller option. They do make a full-size stroller that can expand into an inline double option, but it is not lightweight. Britax B-Ready — The B-Ready is a grow as you go stroller with versatile seating options, room for two and a possible third. This versatile stroller works with several different infant car seats, two at a time, has a roomy storage bin, and rubber foam filled tires. It is on the heavy side, but the versatility might make it worthwhile to Britax lovers, or those with a compatible car seat.